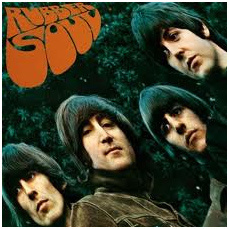 It wasn’t Paul McCartney who dies way back when “28 IF” graced that VW bug or the hand hovered over Sergeant Pepper’s band. He wasn’t a “lucky man who made the grade”. 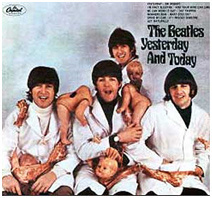 Both he and Richard Starkey, MBE were predicted to be long survivors from all accountable British album covers. By chance or by cosmic charm, the cover photos foretold which half would least survive. 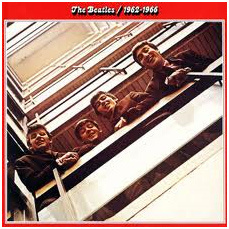 Look at “Please Please Me”. 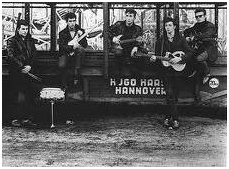 Lennon and Harrison are always paired together. Side by side. Then they died, predeceasing their peers. 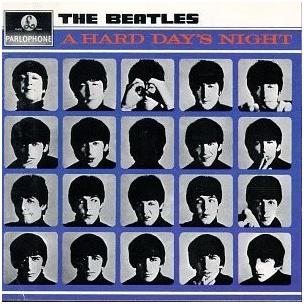 The cover for “A Hard Day’s Night” continues the pattern, this time top down. All follow the same pattern: Dead on the left, Living on the right. As the unity of the foursome waned, so too did the blatant ethereal advertising of who would stay and who would go. 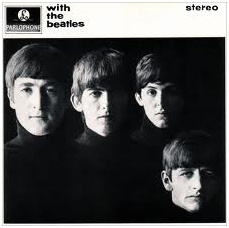 As the Beatles themselves experimented with change, so did the image arrangement. 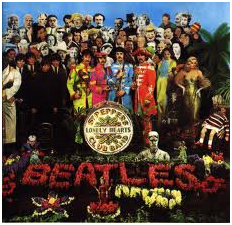 On the cover of “Sergeant Pepper’s Lonely Hearts Club Band”, the survivors are bookended. And the bookends are placed in order of disappearance. 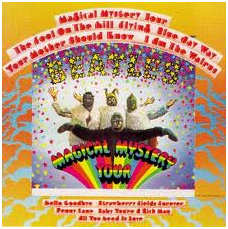 It isn’t until “Magical Mystery Tour” that the left/right pattern is broken. Here, the perishing pair is placed in the center with one behind the other. Lennon ahead of Harrison. As it happened. 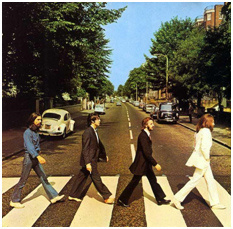 The bookends on the cover of “Abbey Road”. are in the order of the first to go leading the crossing. 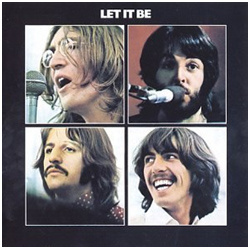 The final nail in the coffin (inappropriate coining as both men were cremated) is “Let It Be”, a cover they had no input on. And so a departure on how the dearly departed is depicted. Yet, even diagonally placed, the second to go glances up at the first. 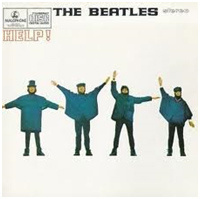 The conspiratorial hand manipulates another prophetic album cover art. 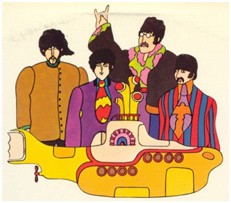 And was “Yellow Submarine” happenstance in its placement of who’s in back, and who remains in the foreground? 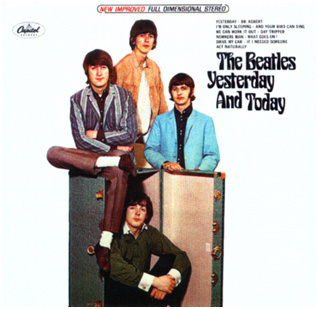 The North American market was deprived of the Beatles’ choice for “Yesterday and Today”. The Cosmic Conspiracy saw no pattern in who wins and who is lost. Yesterday on the left, Today on the right. It wasn’t fortune telling, numerology, astrology or even entrails. 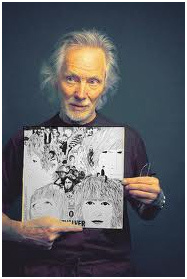 It was merely another myth with an unexplainable aura wrapping itself around a band muddled in myth, magic and music.